BJ Nemeth, a reporter from Atlanta, Georgia, was headed back home from a work trip last Tuesday night when he decided to pull over at a rest stop in Alabama to buy a soda. 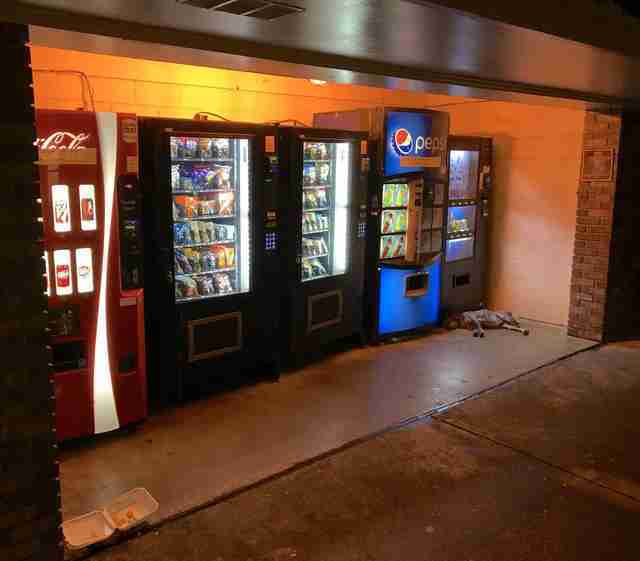 As he walked toward the vending machine to get his drink, he was met with the oddest sight: a pair of furry legs sticking out from underneath it. At first he thought it looked oddly like the back of his own dog at home. But then confusion quickly turned to worry. Sure enough, it wasn’t his dog — but he knew right away that, whoever she was, she needed help. She looked so sad, and completely exhausted. 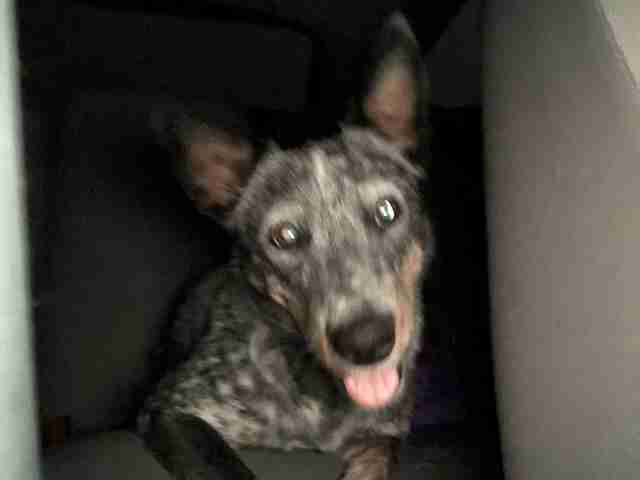 Knowing that the nearest exit was some 6 miles away, Nemeth had a bad feeling that someone had purposely driven her out and dumped her there. And being that she was at a rest stop that didn’t get much traffic, he knew she wouldn’t have many other chances to get picked up by someone else. He called around to local rescue groups and vet offices, but it was getting late and no one was available. He decided to spend some time earning the dog’s trust in hopes she’d let him get close enough to pick her up. Nemeth bought a small bag of cheese crackers from the vending machine and the dog slowly but surely stood up to check them out. She didn’t growl or bark at him, but she kept her eyes on him as she quickly gobbled up the food. With every new development, Nemeth was tweeting out updates with new photos. 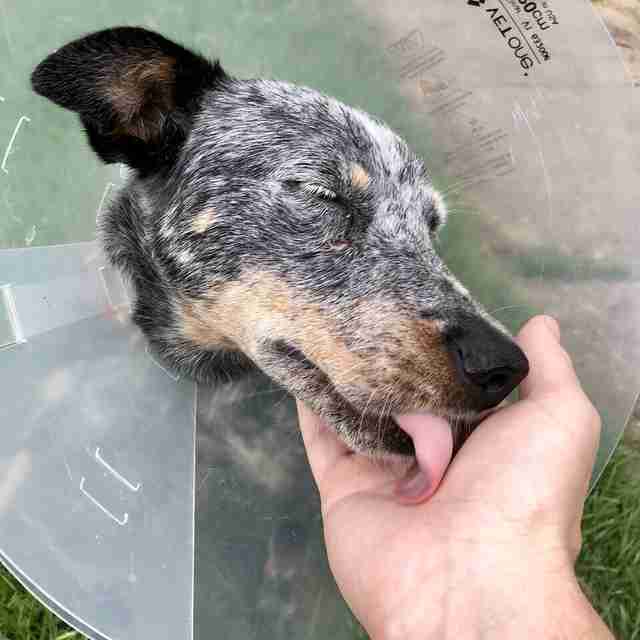 He nicknamed her Soda-Pup, and suddenly, she had a growing group of people eagerly following her story. Once Soda-Pup finished her snack and lay back down, Nemeth snuck back to his car to grab a towel from his suitcase. He tossed the towel over Soda-Pup’s body, and, luckily, she allowed him to pick her up. She was still so nervous — but she knew she was finally safe. The newfound friends drove all the way back to Atlanta without stopping, finally getting back around 3 a.m. Nemeth set up Soda-Pup in her very own room in the house and made a vet appointment for her the next day. 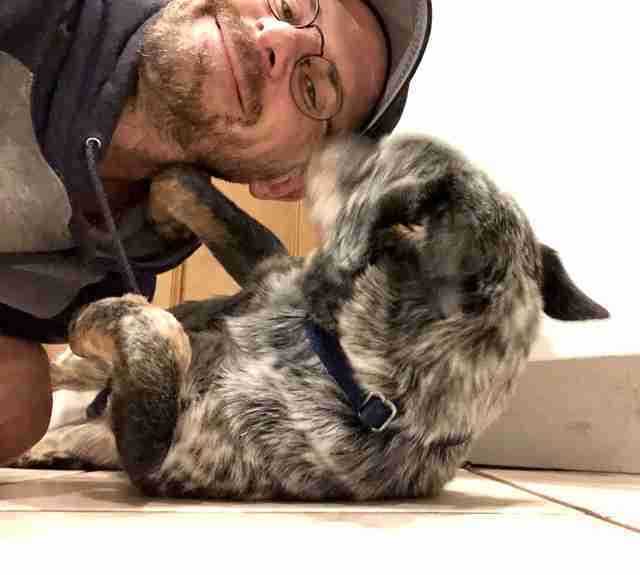 Since his own dog, Brisco, can be territorial of other dogs being in his house, Nemeth knew he couldn’t necessarily adopt Soda-Pup — but he felt he owed it to her to get her all ready to find a home of her own. The vet determined Soda-Pup was about 4 years old, but she needed vaccinations and to be spayed. 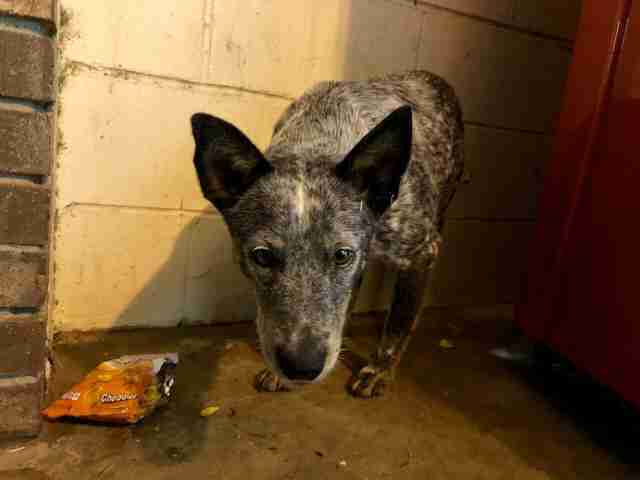 She also had a small abrasion underneath her right eye that needed medication. 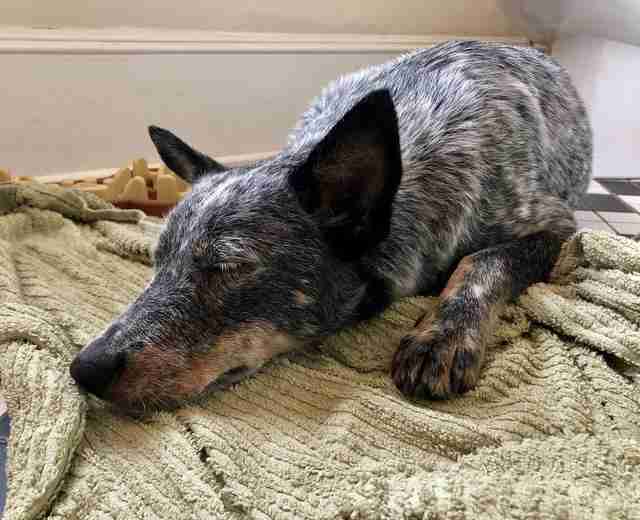 Luckily, Nemeth was able to fully cover her medical bills — and the vet even gave him a discount for taking such good care of her. This time she definitely seemed like she wanted to go to the bathroom, but she didn’t like the pavement or the grass or the wood chips. Despite still being a little shy, Soda-Pup knew she could turn to Nemeth for reassurance. It wasn’t long before she was running in circles around his roommates and playfully wagging her tail at everyone. Nemeth started teaching her some tricks, and she even got her own toys to play with. She started greeting him every morning with kisses. Although Soda-Pup has recently gotten spayed, she hasn’t let that slow her down. She’s even learned that her fancy plastic cone is the perfect tool for knocking over the shelf where the treats are. 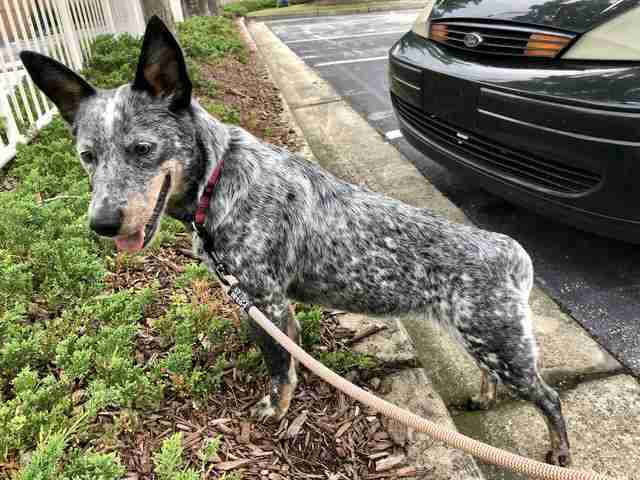 With Nemeth’s help, the scared homeless dog living under a vending machine has blossomed into an outgoing family member — but now all she needs is a family. 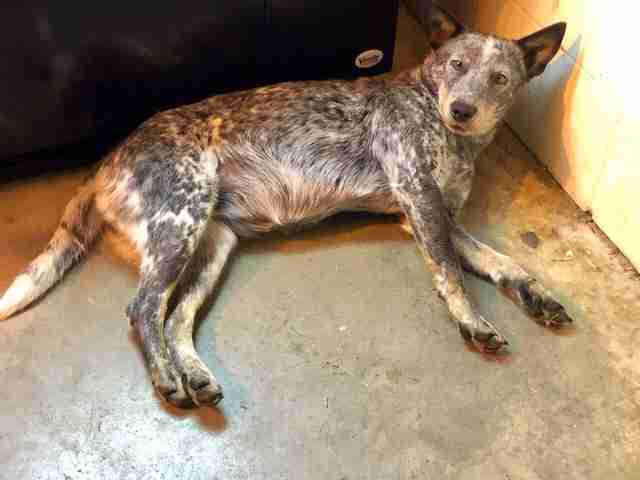 Luckily, Nemeth knows a trusted mutual friend in Dallas, Texas, who has already agreed to adopt Soda-Pup as her own. Soda-Pup is on the road again this week to meet her new mom, and Nemeth will stay there for a few days to make the transition comfortable. 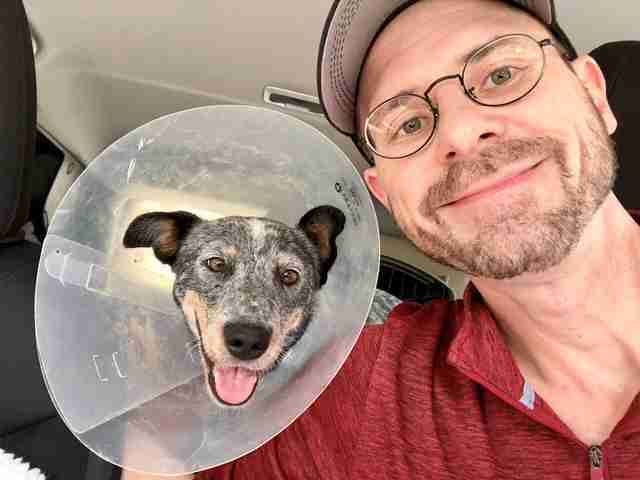 While Nemeth is sure he would've adopted Soda-Pup if he didn't already have a dog, he is already planning to stay a part of her life and check in for updates on all the new adventures she’ll be taking. He’s also decided May 22 will be her birthday — the day they crossed paths at that roadside vending machine. 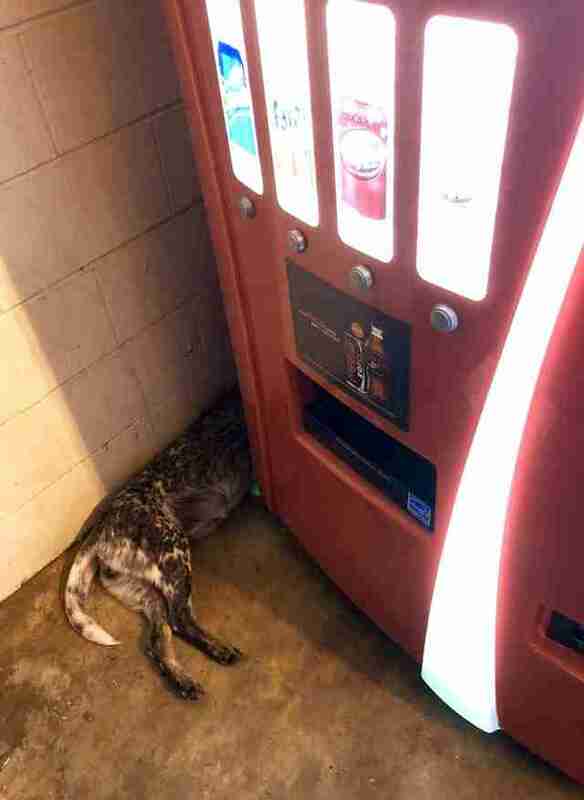 Now, he can’t imagine finding a better place for Soda-Pup to live.